Abramjee asked that Botha expelled from the commission after he allegedly compared a Mosque to a brothel, a claim he denied. Abramjee has welcomed the decision of the Commission and said that he was happy that this matter is being addressed and that “we must allow the processes to run its course”. He said he would also ask the Speaker of Parliament to expedite the Botha matter. On Friday, 21 April 2017 the CRL Rights Commission met with Mr Yusuf Abramjee and Mantoa Selepe to discuss the De Goode Hoop Afrikaans only student residence in Pretoria. Mr Abramjee and Selepe lodged a formal complaint with the Commission after it emerged from some media reports that the residence was for “Afrikaans Christian” students only. The complainants argued that the residence was unconstitutional and “is apartheid in disguise.” They called on the commission to probe the matter and make a ruling urgently. The Commission will be setting a meeting with the Management of De Goode Hoop residence, the University of Pretoria and also the City of Tshwane in order to get to the bottom of this matter. 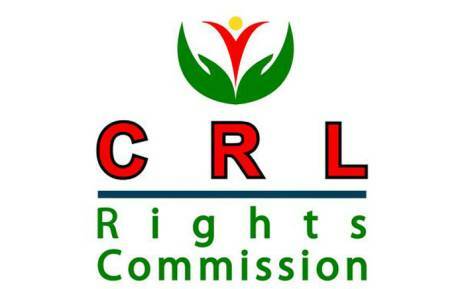 The CRL Commission has ruled that a series of comments made on social media during the height of the Valhalla Mosque controversy were “Islamophobic and unacceptable as these did not only offend the Muslim Community but were an affront to all our efforts as a nation to national co-existence and social cohesion. The CRL Commission will be setting a meeting with the representatives of Face -Book South Africa to discuss this matter and thereby ensure that decisive steps are taken to deal with those accounts. In addition, the Commission updated Mr Abramjee about the progress and status of his complaints against Commissioner Richard Botha in that this matter was not closed but has been referred to the Speaker of Parliament. Mr Abramjee has welcomed the decision of the Commission and said that he was happy that this matter is being addressed and that “we must allow the processes to run its course”. The Moosa family of Polokwane has expressed its disappointment after the case against three men allegedly part of a kidnapping syndicate was provisionally withdrawn. Masilo Kgafane, Samuel Kobo and Benny Mudau allegedly abducted Anisah Moosa (35) in March 2016. The suspects were released on bail despite a week long protest outside the Polokwane Magistrates Court shortly after being arrested. The gang is allegedly responsible for a spate of crimes. They also face charges of attempted murder after three police officers were shot and wounded during a sting operation in which Anisah was freed. Two of the accused were since re-arrested on other charges including a cash-in-transit robbery and other armed robberies. One was wounded in a shootout with police. The gang allegedly demanded R3m ransom from Anisah’s family. She was abducted outside her uncle’s home in Nirvana, Polokwane. Moosa Family spokesman, Yusuf Abramjee, said a Mankweng Magistrate decided to withdraw the abduction case against the three men because of on-going delays. “The police had many months to do their investigations and we can’t understand why it is being delayed repeatedly. We want a full probe,” he said. The Hawks are investigating the case. Abramjee said attorney, Raeesa Rhemtula, has been instructed by the family to immediately write letters to the Minister of Justice, Minister of Police and National Director of Public Prosecutions to ensure that the case is re-instated.